February 18, 2019 A Delhi Teacher shares how the mentor role impacted her! 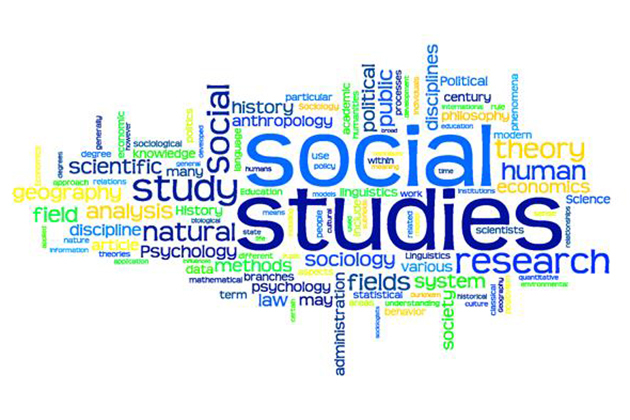 I believe that being a Social Science Teacher is not an easy task as believed by many. Being a Social Science Teacher is like having great responsibility for creating a sensible Citizen of the country and the world for future. My experience says that if we follow certain practices, it will help us to be a good Social Science Teacher. I am sharing some of the practices which will help us to evaluate ourselves to be a good Social Science Teacher. 1) Sociable – how we can be a good Social Science Teacher without being social. It’s very important to know about society before teaching Social Science. If we talk and be with Rich and Poor, Upper and Lower caste, Hindu and Muslim, North Indian and South Indian, Local and Foreigners…. you will know the society very well. It’s very easy to understand any social issues if we know it’s background and the best solution can be given only by that social group which is going through it. So more social you are the best you can deal with society/social studies. 2) Reader – I believe Social Science Teacher must not have a shallow knowledge of the subject or else you will not understand the seriousness of the subject you are dealing with. Since you are dealing with the subject which is absolutely applied not only for a career but for life as well. Reading newspaper, journals, magazines, novels, poetry…. helps us to give life to our dead textbook. Reading of all kinds of books help us to see any situation/topic from a different perspective/dimension. 3) Not being Judgemental – teaching Social Science with some preoccupied notions, prejudice or stereotype regarding anything or person will be an imposition of yourself on your students. It’s best to open the mind of our students rather than chaining their minds with our illogical thoughts. Teachers must not be carried away by their self-developed thoughts rather than be rational enough to make a correct decision and develop this sense of reasoning among their students too. 4) Traveler – by experiences of our own traveling you can easily take your students on the virtual tour and make your subject more realistic and appealing. You can motivate your students to travel around, traveling is like Practical part of Social Science. Even in Social Science, we have many things which can be learned by doing. Knowing about local, regional, national and international always helps us to deal with our subject in the best possible way. 5) Creative – Social Science is the subject which can be taught in most creative ways. Many believe that Social Science is the most boring subject but the reality is that its teachers are most boring. For making the subject more creative you need to make your students live the subject rather than confining it to the textbook. How we can study about Society within four walls of a classroom, it’s contradictory in itself. Experiments always bring new shades of a colorful spectrum of Social Science. 6) Cinemaphile – many movies and documentaries are made after lots of research. Because of audiovisual effects and entertainment as well, cinema has great potential of attracting the present generation, which can act as a great resource of information. So teachers dealing with Social Science develops a habit of watching movies and helping their students to develop the same habit along with making them sensible in selecting sensible movies and not only that but also understanding cinema as a craft and it’s interpretation. Social Science will not be boring anymore rather it will become a most fascinating subject on earth. The above-mentioned practices are just my way of seeing Social Science and the Teacher who deal with it. Without offending anyone, I am keeping my personal opinion, knowingly that I am not perfect. Zamir Arif is a proud Social Science Teacher teaching at St. Xavier’s Hazaribag, Jharkhand. It’s really proud moment for me see my article in the blog of ChalkLit. I am very thankful to Parul ma’am for appreciating my work and motivating to write more such articles. Thank you Zamir sir! It is a pleasure for ChalkLit community to host teachers like you. Looking forward to more of such insightful contributions which would value to the community.